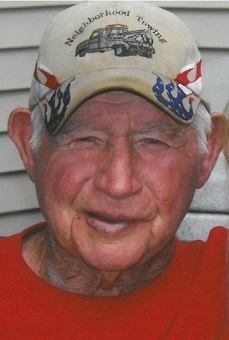 Obituary for Walden S. Hughes | Cromes-Edwards Funeral Home & Crematory, Inc.
WALDEN S. HUGHES, age 91 of Summerfield, FL, formerly of Sidney, passed away Saturday, April 6, 2019 at Brandley House in Summerfield, FL. He was born on May 28, 1927 in Christopher, Kentucky, the son of the late Leslie and Myrta (New) Hughes. On June 19, 1948 he married Norene (Cotterman) who preceded him in death on November 12, 2010. Walden is survived by two daughters, Martha (Russ) Mummey of Sidney and Margie Pirrwitz of Summerfield, FL, one sister, Fay Lambdin of Sidney, one daughter-in-law, Birdie Hughes of Sidney, five grandchildren, Jamie, Stacey, Megan, Jason and Jari and numerous great-grandchildren and great-great-grandchildren. He was preceded in death by one son, Merle Hughes, and 11 siblings. Mr. Hughes worked 22 years for Wagner Manufacturing and later retired from Hartzell in Piqua after 17 years of service. Walden enjoyed fishing on Lake Erie and playing cards. He will be greatly missed by all.